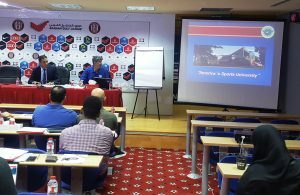 United States Sports Academy National Faculty member Dr. Dave Shrock, second from right on front, kicked off this academic year’s international sports education programs for the Academy by teaching a sports marketing course to soccer administrators in the United Arab Emirates (UAE) through the a Football Club Operators License Program with the UAE Football Association (UAEFA) known as the Football Association Academy (FAA). 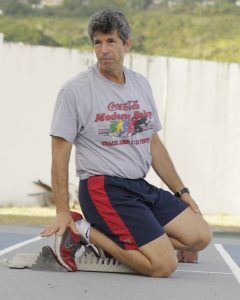 DAPHNE, Ala. – Nationally acclaimed track and field coach and long-time health and physical fitness professor Dr. Dave Shrock kicked off this academic year’s international sports education programs for the United States Sports Academy by teaching a sports marketing course to soccer administrators in the United Arab Emirates (UAE). 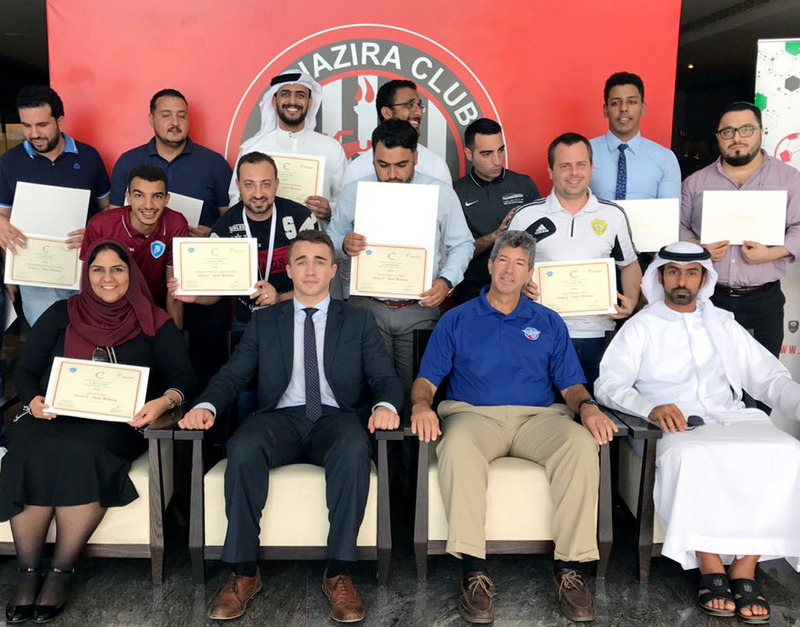 Shrock – an Academy alumnus and National Faculty member – taught recently as part of the Academy’s cooperative effort to train soccer administrators through a Football Club Operators License Program with the United Arab Emirates Football Association (UAEFA). Shrock taught CEM 344, a level “C” sport marketing course in the UAE.